Anker Hostel is only 10 minutes' stroll from bustling Karl Johan and the heart of the city, allowing easy access to the Central Station and Oslo's shops and restaurants. 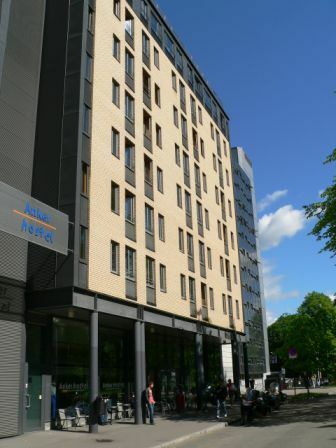 Situated just outside the hostel you will find bus and tram stops and a taxi rank. 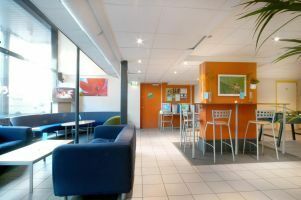 Anker Hostel has a capacity of 150 rooms (53 during wintertime) and offers accommodation suitable for all age groups in a relaxed and international atmosphere. All rooms are equipped with private facilities. Our four-, six- and eight-bedded rooms provide single gender accommodation (as long as it's possible) on a shared basis. If you prefer your own room we have twin rooms available. Free Wi-Fi access is available in all rooms and in the public areas.All beds are supplied with a duvet and a pillow. Bedlinen and towels are available at the reception for hire, bedlinen are obligatory. Due to hygienic reasons, the use of sleeping bags are not allowed.The hostel is open all year with 24h reception service. Just a 10-minute walk from Karl Johan, Oslo's main street, you'll find Anker. With a bus stop, tram stop and taxi stand right outside the door. From the Central Train Station Square take tram numbers: 12, 13 and 17, as well as bus numbers: 30, and 31. Get off at Hausmannsgata stop. Twenty minutes by Airport Express Train from Gardermoen Airport to the Central Train Station Square. The hotel is 5 kilometers from Vippetangen, the ferry pier for DFDS and Stena Line. As you approach Oslo from the E18, follow signs for Gjøvik (4). After passing the 'Radisson SAS', take a left turn in the first traffic circle/roundabout. At the first traffic lights take a right turn onto Christian Krogh's street. Follow this street till the end - you'll see Anker Hotel straight ahead. The hostel is 20 metres from the hotel.